In business since 1969, we've had the luxury of building a company staffed with many logistics and technical experts. Many on the Lakshya team come from large, well-established software, supply chain, and carrier companies, including IBM, Pitney Bowes, DHL, Ryder Integrated Logistics, and UPS. But we are not all about big name backgrounds. Some of our employees were previously customers. Their hands-on logistics experience provides extra insight into the day-to-day needs of your distribution center. 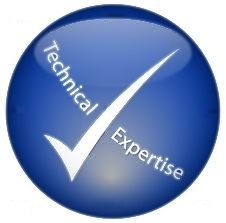 You will find that our technical employees are iSeries programming experts. Lakshya's professional services team averages over 15 years of programming experience.